Signature : Musashi Taro Yasukuni. Shin 15 Mai Koujyo saku. shintp Jyo saku ranking:Musashi province. Jyo saku and regular saki)This sword Musashi Taro Yasukunibelongs to Jyo saku ranking. The blade was polished by good polisher. Habaki : gold foiled and copper, double habaki. Blade length :　53.7cm or 21.14 inches. 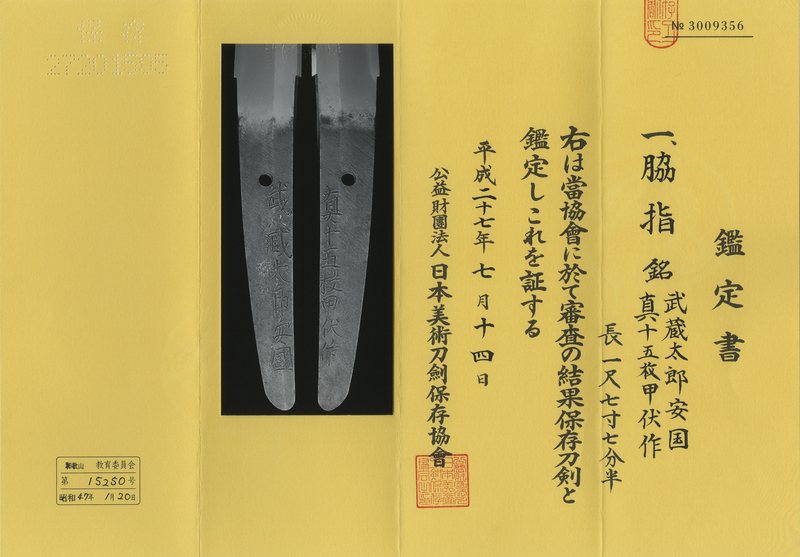 Width at the Kissaki : 2.22cm or 0.87 inches. 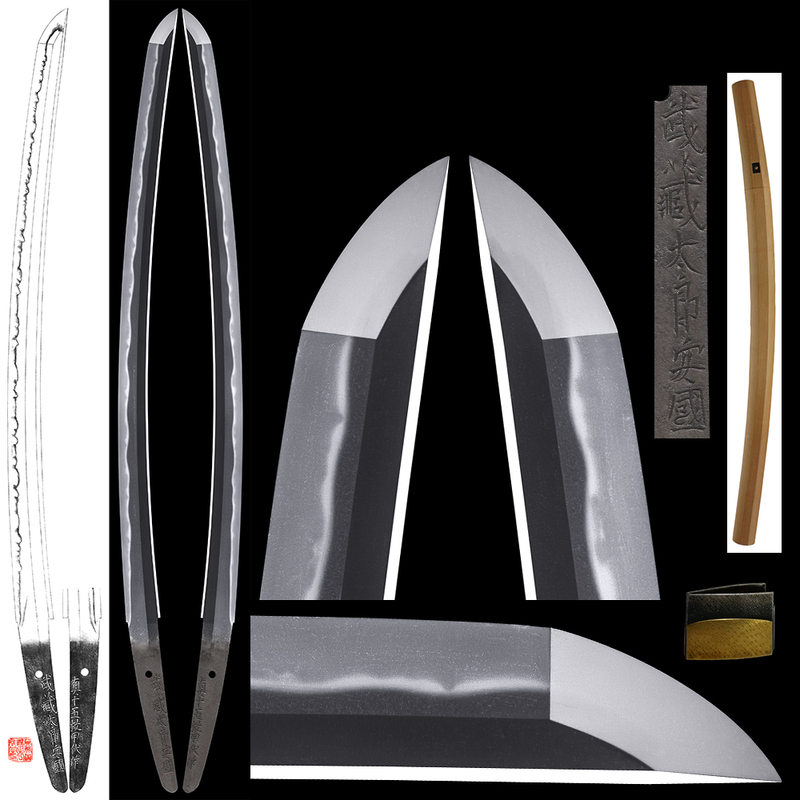 Shape :The blade ia rather wide and thick with deep sori nice looking shape. Hamon:Niedeki gunome midare with ashi work. Special feature : Yasukuni was swordsmith descended from Shitahara school. He moved to Edo and studied under the Oomura Kaboku. 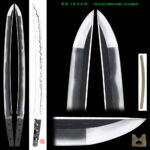 He engrave on the nakago as Shin 15 mai Kojyo saki and well known as cut well sword. While he as studying at Oomura Kaboku, he says his name as Musashi Taro Yasukuni. from movies the title is Daibosatsu Toge by the actor Chiezo Kataoka. At that time Japanese swords were one of the top ranking Japanese men's hobby. In times past when entertainment was scarce, the movie was a place where men could have fun. I was also watched the movie "Daibosatsu Toge"mountain pass Daibosatsu.